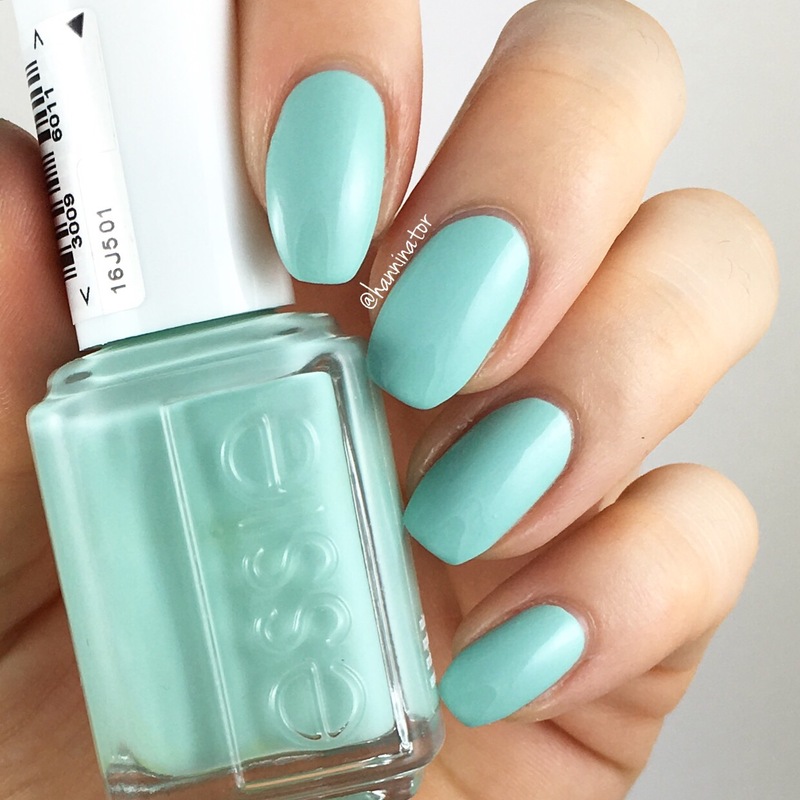 Like with OPI’s Gargantuan green grape there is two different versions of Essie’s Mint candy apple too! 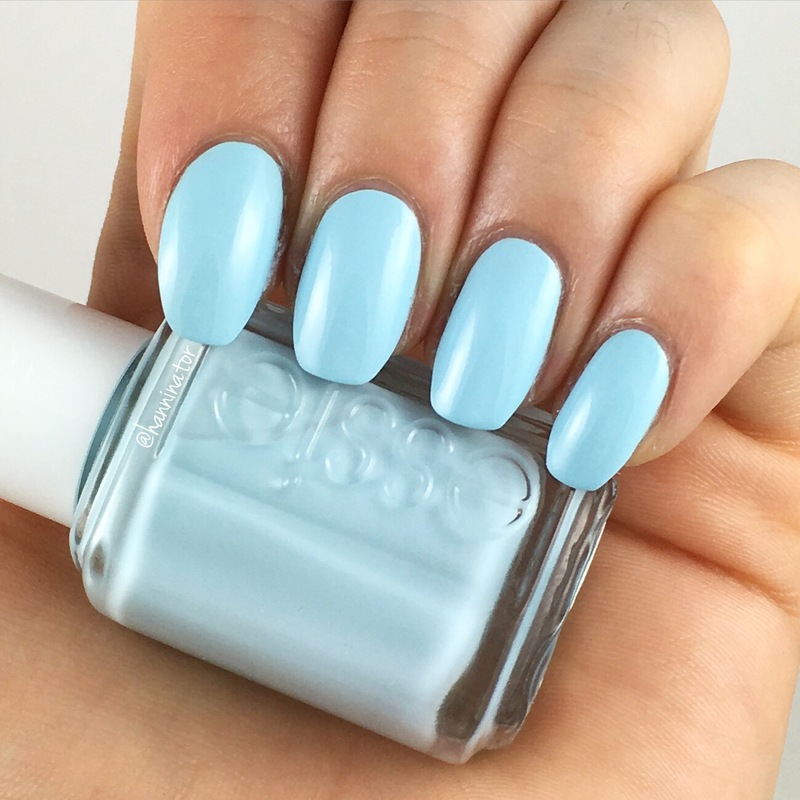 The formula of this polish is a bit thin but it’s still easy to apply. In the pictures I’m wearing three coats and no top coat. 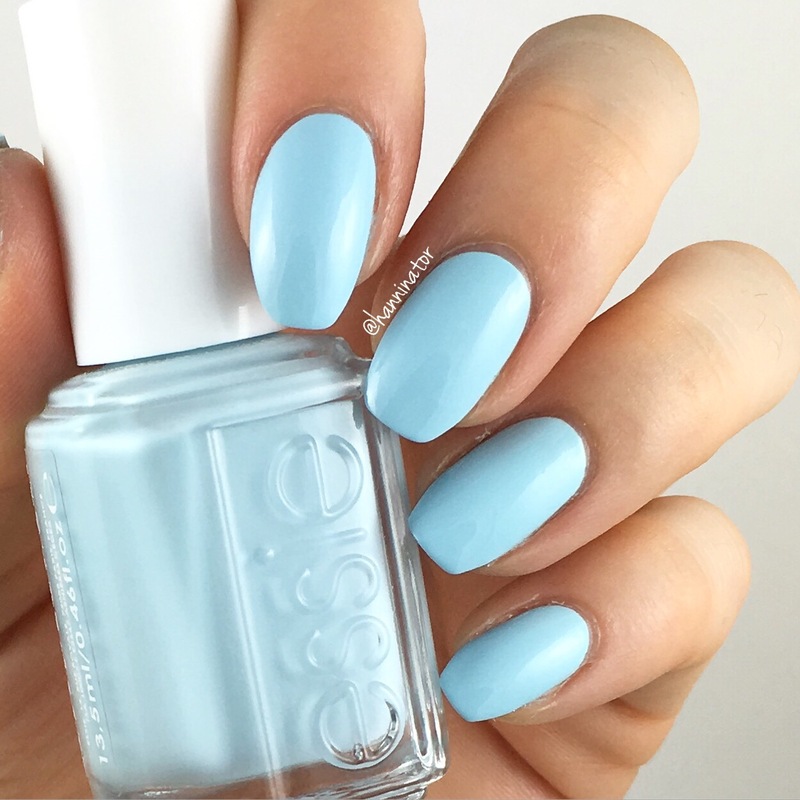 The blue version of this polish is pretty thin and runny and a bit tricky to apply. In the pictures I’m wearing three coats and no top coat. 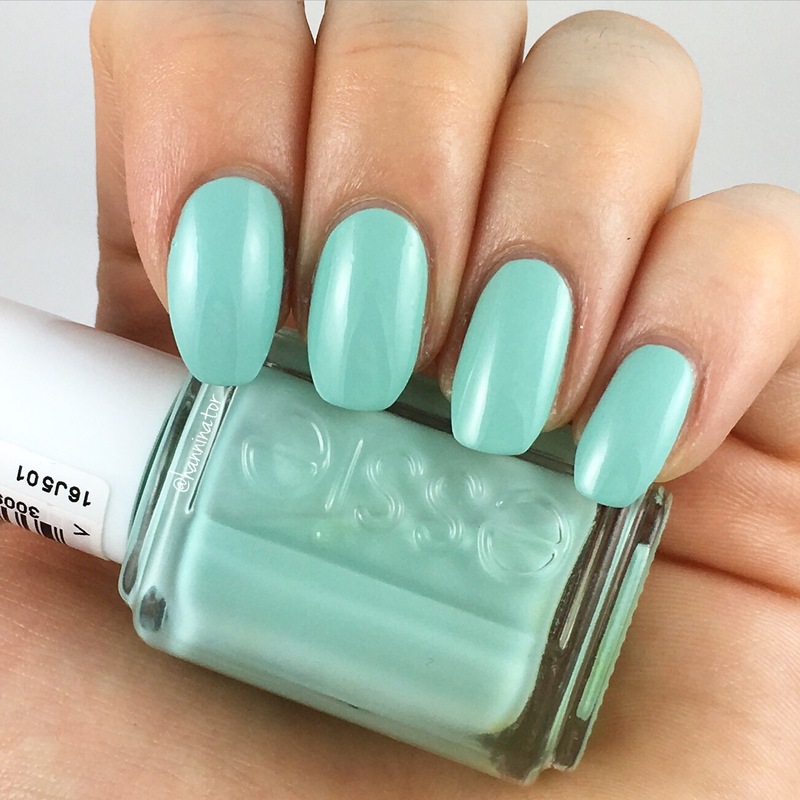 It’s hard to choose a favorite of the two, because I really like light blue polishes, but on the other hand I like mint green too. In the end I think that the green version is the one I like the most, and it’s also the one that matches the name the best! Which version of the polish do you like the most?